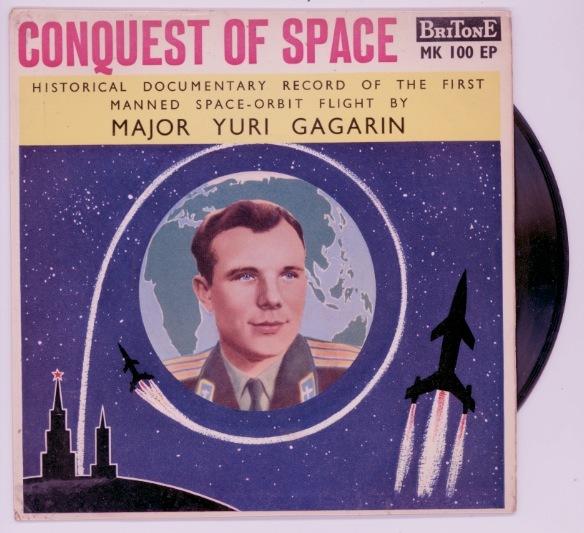 Sorting through some records last night (in the R and S sections) I was reminded that it is nearly April 12th and the 44th anniversary of Yuri Gagarin’s pioneering flight into space. I have posted the 45 of his transmission previously (here). The following is a fairly rapid selection of space-related tracks that I bumped into last night. 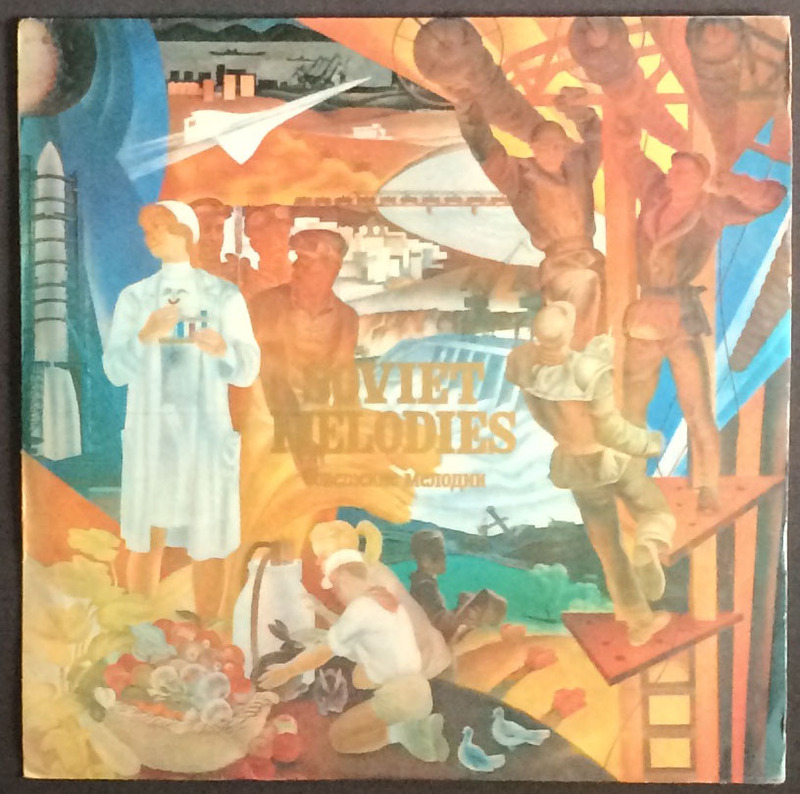 A ‘Melodica’ record of unknown date. The track is ‘To the Stars’ sung by Lyudmila Zykina with the Osipov Academic Russian Folk Orchestra conducted by Victor Dubrovsky. I have no idea of the content but am relying on the title for relevance. 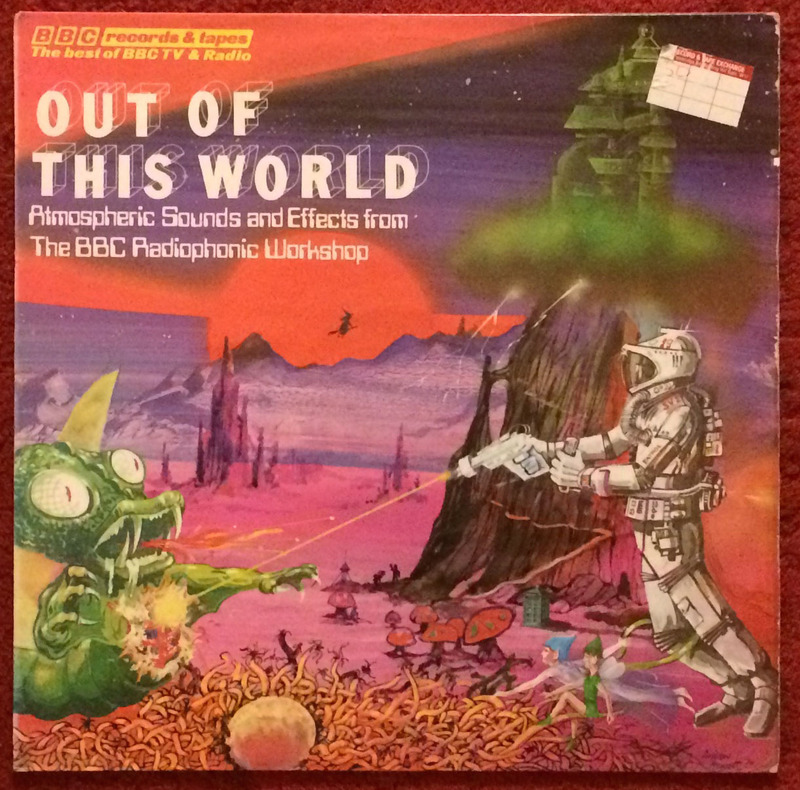 The BBC Radiophonic workshop from 1976…with a remarkable sleeve designed by Andrew Prewett. Two tracks: ‘Space ship control room atmosphere’ and ‘Space ship interior atmosphere’. 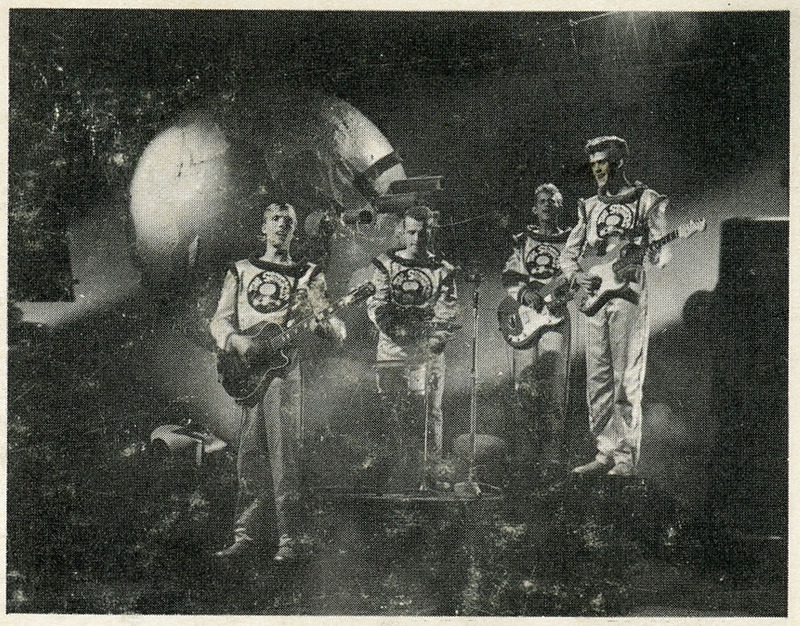 The track is ‘The Rocket Man’ by the Spotnicks from Gothenburg, Sweden. The album was recorded in London on an unspecified date in 1962 between the hours of 2:30 in the afternoon and 7:30 the following morning. Thorough research on Wikipedia suggests that the tune is ‘based on the Soviet/Russian folk march “Polyushko-polye”‘. ‘The Rocket Man reached no. 38 in the UK charts. 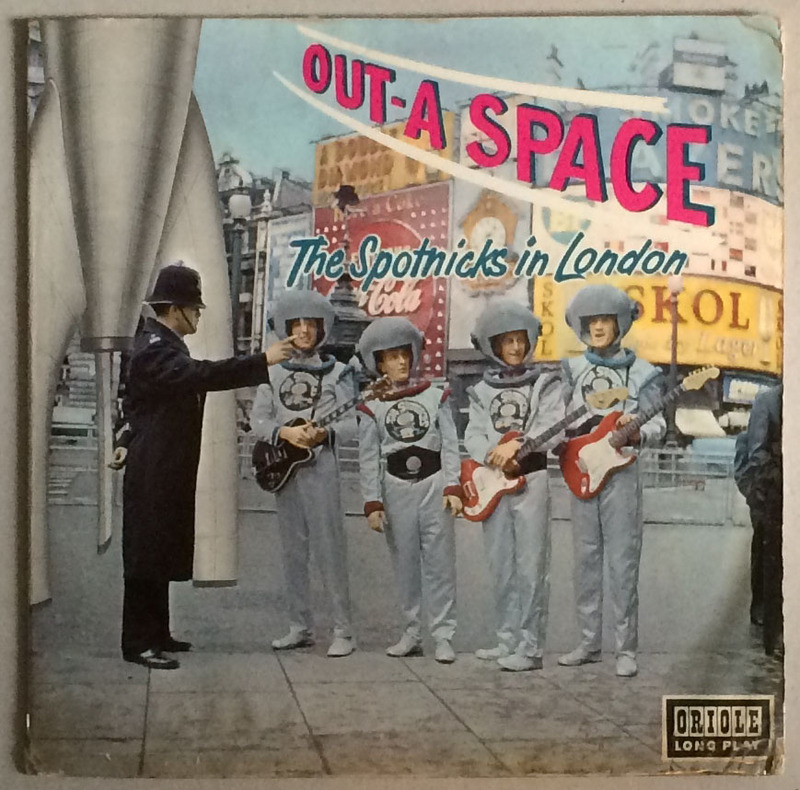 From the back cover of ‘Out-a Space; The Spotnicks in London’. I found this in ‘Rub Out the Words; The Letters of William S. Burroughs, 1959-1974. WSB in Paris to Allen Ginsberg in New York, dated Dec 30 1960 (about 4 months before Yuri Gagarin’s orbit of the Earth). Tape cut-up with Brion Gysin from 1960 recorded at the BBC in London.